We are The Everlast Asphalt Corporation, a Canton, Michigan-based provider of residential and commercial asphalt services. 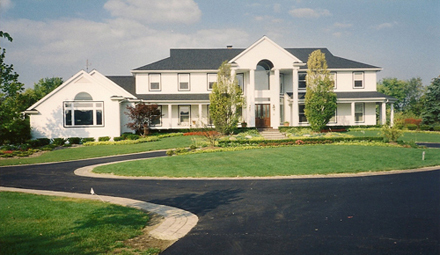 For more than twenty years, we have delivered quality craftsmanship to homes and businesses in Southeastern Michigan. Our services include the paving of driveways, walkways, bike paths, and parking lots. We also perform sealcoating and repairs for these areas, as well as pothole repair, which is always needed, especially in the winter months. Watch a video of our crew doing a cold patch repair. From new constuction to routine maintenance and repair, we provide exceptional service and pay rigorous attention to detail. Our friendly and professional crews are on time, careful, and clean. As a fully licensed, insured company, we've worked hard to earn a reputation for quality. We take the time to learn about your project, answer your questions, and provide you with a fair up-front estimate. When you hire Everlast Asphalt, you can be assured that the job will be finished and done right. The job is not finished until you are satisfied. That's the Everlast Asphalt guarantee. Everlast Asphalt also offers a number of decorative enhancements that will offer added beauty and functionality to your home and business and perhaps even increase its worth. Take a look at our Photo Gallery to see some of the many projects we have completed. Find out more about us here.